The Vatican may learn the hard way that the Communist Chinese government does not honor its agreements. Beijing may attempt to extort even more concessions from the Vatican, just as the Chinese regime demands ever more surrender of sovereignty from western companies that do business in China. It is also highly dubious that the Vatican will purchase peace by this pact: the regime will continue to persecute the Church. If the Communist regime is true to form, thousands more crosses will be taken down from Christian churches, especially in areas that have a high Christian population. The courageous elders of Chinese Catholicism, who have endured decades of government persecution and regime efforts to divide the Church, may be seen by their flocks as having been bypassed by the Vatican. Many, if not most, Chinese Catholics are likely to view this agreement as a cynical political betrayal by the Vatican rather than a faith-based decision. "In light of this dismal record, it seems that prudence and caution would seem to be the order of the day in Vatican negotiations with the totalitarians in charge in Beijing, at whose most recent Party Congress religion was once again declared the enemy of Communism." — George Weigel, Catholic author and political analyst. 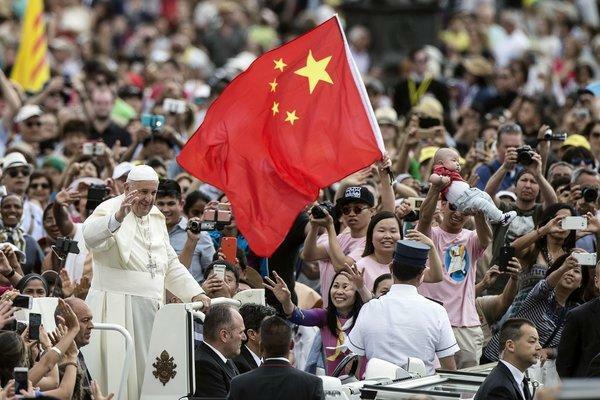 Pope Francis has surrendered partial control of the Chinese Catholic Church to the Chinese Communist Party (CCP). His Holiness agreed to grant the Party considerable authority over personnel matters. After decades of refusing to give China the right to appoint Catholic bishops, as a condition for normalization of relations, the Vatican finally conceded to the regime's demand to allow the CCP a decisive role in the selection of bishops to head Catholic dioceses. The Vatican's concession came despite the CCP's continued persecution of the unofficial, independent, underground Catholic Church in China. Yet the Vatican probably does not view this as a defeat but rather as a means to an end. The diplomatic hierarchy of the Catholic Church may be confident that the truth of its spiritual message will endure long after the CCP dissolves into the same historical trash bin as other totalitarian ideologies have done. The Church's consenting to fold its independent political posture into the Chinese regime's Communist Party apparatus gives Beijing the authority to appoint bishops politically acceptable to the CCP. In granting China this right, the Vatican implicitly is recognizing the legitimacy of the regime's CCP instrument to infiltrate and control Roman Catholicism in China, which is the Chinese Patriotic Catholic Association (CPCA). Pope Francis has also reinstated several pro-regime bishops whom the Vatican had once excommunicated because they willingly agreed to follow Communist China's directives, while forsaking their loyalty to the Church in Rome. Finally, the Holy See's bureaucracy also accepted Beijing's demand to reduce and restructure the Catholic Church's 137 dioceses across China. This last Vatican concession may shred the religious authority of several bishops secretly appointed to some of these eliminated dioceses by Pope Francis and previous popes. For almost 70 years, after the CCP's successful takeover in China, Catholics have either attended churches approved by the government's Chinese Patriotic Catholic Association or churches aligned with the Vatican. Some Catholics even attend Mass in private homes to avoid surveillance by agents of the regime. After a series of recent meetings between the Holy See and China's State Administration for Religious Affairs, Pope Francis dispatched a delegation in mid-December to meet with leading bishops of the pro-Vatican "Underground Church" and Chinese government officials. The delegation was ostensibly in China to pursue "practical steps" to implement the provisional agreement the Holy See had reached with China. In reality, the Papal delegation may have been sent to China to make certain that the agreement's final implementation proceeded smoothly. The delegation included the Vatican's President-Emeritus of the Pontifical Council for Social Communications, Archbishop Claudio Maria Celli. The Archbishop carried a document signed by the Holy See's Secretary of State, Cardinal Pietro Parolin and by Cardinal Fernando Filoni, Prefect of the Vatican's Congregation for the Evangelization of Peoples. The delegation's Papal directive instructed at least two prominent Catholic bishops of the "Underground Church" to retire or share their official duties with bishops approved by the CCP. While the exact wording of the Holy See's letter remains secret, some Vatican observers, presumably reflecting the Pope's decision to reverse years of resisting Beijing's demands, cited a few reasons for giving in. First, the Church probably needs to eliminate confusion among Catholics in China over the schism between Vatican-approved and regime-approved bishops. Another possible reason for the Vatican's apparent flexible stance is that a Church-state compromise would be necessary to improve pastoral care for existing Catholic faithful. The decision by the Vatican not to publish the letter, however, may suggest that the regime is also demanding that the Holy See break relations with Taiwan before it can normalize diplomatic ties to China. This supposition is based on the character of Beijing's previous agreements establishing bilateral relations with other countries, including Panama. Other countries that cut ties to Taiwan in order to open up embassies in China include the tiny African country of São Tomé and Príncipe as well as El Salvador. The prerequisite that states desiring formal ties with China must first sever formal diplomatic relations with Taiwan rests on Beijing calls its "One China" policy. Communist China considers Taiwan an integral part of China, and thus rejects Taiwan's claim that it represents the legitimate government of China. The Vatican's public relations officers seem to have tried to put the best face on the agreement with Beijing. Gregory Burke, the recently resigned Director of the Holy See's Press Office, suggested that this pact with the CCP was designed to be pastoral, not political, implying that it would help unify Chinese Catholics. The Vatican, however, in a seeming effort to douse speculation, has refused to reply to inquires whether the agreement is a first step in establishing diplomatic relations between the Holy See and the People's Republic of China. About half of the 98 dioceses have no Vatican-approved bishops, thereby often leaving their parishes without clerics to administer to believers. It is clear from Beijing's anti-Catholic harassment campaign that the Communist Party leadership is determined to co-opt, if not destroy, the independence of the Church in China. Regime harassment includes the dispatch of internal security police to strip churches of their statues, and the removal of crosses from steeples. Sometimes bibles are confiscated if seen in public. Masses are often celebrated in private homes to avoid being monitored by the state. On one occasion in early 2018, an entire Catholic Church was demolished, prompting a street demonstration by parishioners. Perhaps the Vatican might be privately concerned that the CCP's continued opposition could complicate evangelization efforts among the Chinese people. The Vatican's desire to reach an agreement with Beijing may also be, in part, a reaction to the regime's efforts to sow dissent in the Church by supporting the Chinese Patriotic Catholic Association as an alternative church. With President Xi Jinping's endorsement, at the October's 19, 2018 Chinese Communist Party Congress, Beijing launched a "Sinicization" campaign to bring all religions in line with Chinese culture and values. This government tactic is probably designed to co-opt or to curb the growth of an independent Catholic Church, thereby enhancing Communist Party control of religion in China. 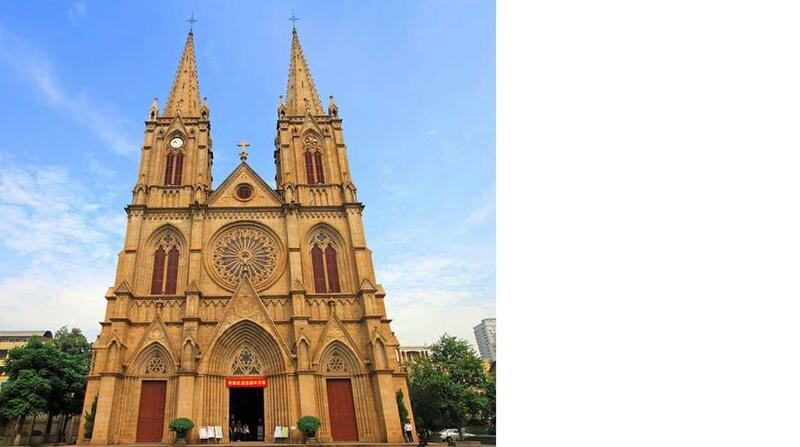 One report alleges that Catholic evangelization of the Chinese people is stagnating in marked contrast to the rapid expansion of Protestant Christianity in the country. This disparity underscores the significance of Cardinal Filoni's presence in the Vatican delegation to China's Catholic Bishops: Filoni is responsible for the Vatican's worldwide evangelizingcampaigns. The Vatican's pact with Beijing is evoking a good deal of intense criticism from both leading Catholic intellectuals and human rights crusaders. Retired Cardinal of Hong Kong Joseph Zen bitterly critiqued the agreement as "an incredible betrayal," tantamount to giving "the flock to the wolves." The China Director of Human Rights Watch, Sophie Richardson, stated that "the Pope has effectively given Chinese leader President Xi Jinping a stamp of approval when the latter's hostility to religious freedom couldn't be clearer." Even while Beijing and the Vatican were negotiating the future status of the Catholic Church in China, the Communist regime continued its pressure on the Underground Catholic Church to go along with its efforts to get the Vatican to comply with the state's wishes on the administration of the Catholic Church in China. The government harassed and arrested Bishop Joseph Guo Xijin during the years-long negotiations between the Holy See and China. During the talks, another Catholic prelate, 88 year-old pro-Vatican Bishop Peter Zhuang, was hauled before China's State Administration for Religious Affairs. Although Bishop Zhuang was released into the custody of a Vatican delegation, the event was held in the presence of Chinese Party officials, where he was coerced to retire in light of the Vatican-China deal. "The government has not given up its hope for control. They want the Church to be another tool of the state. That's common in China, across labor unions or NGOs - they all have to fall under the party at some level." The Vatican may learn the hard way that the Communist Chinese government does not honor its agreements. Beijing might well attempt to extort even more concessions from the Vatican just as the Chinese regime demands ever more surrender of sovereignty from western companies that do business in China. These demands can include a requirement to form joint ventures with a Chinese company, with China holding a majority interest, the demand that all critical data be stored locally, and scrubbing any language to which Beijing objects. It is also highly dubious that the Vatican will purchase peace by this pact: the regime will continue to persecute the Church. If the Communist regime is true to form, thousands more crosses will be taken down from Christian churches, especially in areas that have a high Christian population. In 2015, in Zhejiang Province, in the southeastern city of Wenzhou, where one in eight citizens are Christian, approximately 1,200 crosses were forcibly torn from their moorings. The only likely benefit that the Vatican could derive from this Munich-style pact with the Chinese regime may be an official invitation to Pope Francis to visit China. That privilege, however, might well be outweighed by the potential harm for the future of Catholicism in China. The courageous elders of Chinese Catholicism, who have endured decades of government persecution and regime efforts to divide the Church, may be seen by their flocks as having been bypassed by the Vatican. Many Chinese Catholics, realizing that their hierarchy was reluctantly fused by the Vatican into a union with the state-controlled church, might retreat into private homes to attend Catholic services. Many, if not most, Chinese Catholics are likely to view this agreement as a cynical political betrayal by the Vatican rather than a faith-based decision. "In light of this dismal record, it seems that prudence and caution would seem to be the order of the day in Vatican negotiations with the totalitarians in charge in Beijing, at whose most recent Party Congress religion was once again declared the enemy of Communism."